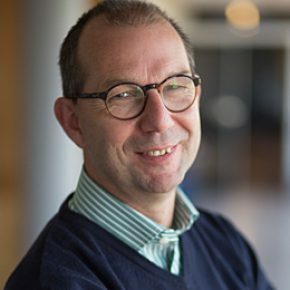 Robert Mudde is professor of multiphase flow at Chemical Engineering of Delft University of Technology. He is also Director of Education of the Faculty of Applied Sciences. He has been teaching Transport Phenomena for over 25 years to undergraduate students in Applied Physics, Chemical Engineering and Earth Sciences. In his research he focuses on transport phenomena in multiphase flow reactors. Advanced experiments using radiation as well as computational methods are used to study these systems. In our research, we focus on dispersed multiphase flows, like gas bubbles in water or granular matter and powders in a gas stream. The focus is on industrial reactors, like bubble columns and fluidized beds. However, the research portfolio is broader and at the moment encompasses for example in-line separation of oil from water for the oil and gas production. Both numerical simulations and advanced experiments are carried out.